Online slot games are undoubtedly some of the most popular platforms on the market today. Offering untold hours of fun and the potential to secure handsome financial rewards, slots are as entertaining as they are lucrative. However, there is a bit more than meets the eye if you hope to take advantage of the opportunities at your disposal. Many articles examine factors such as the number of reels, the payout lines and the associated bonus structure. 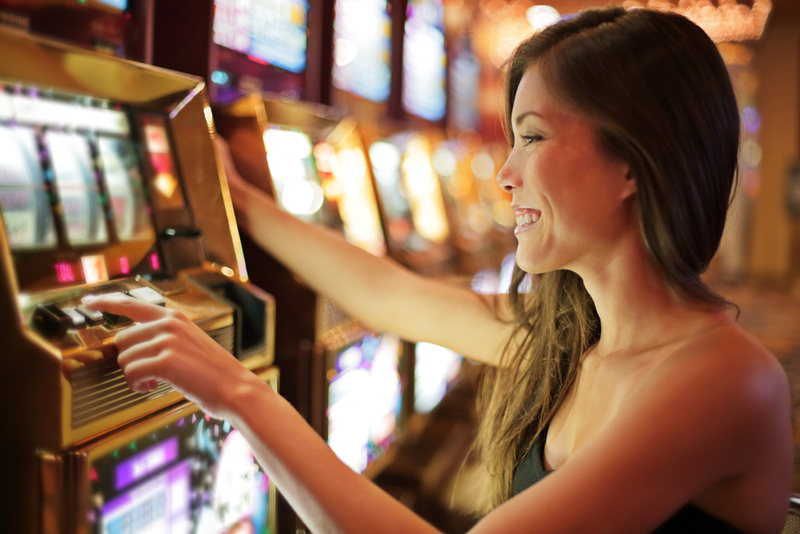 One of the most important (and overlooked) topics involves what is known as slot game variance. Pleas read on if you wish to enhance your current skill set. High variances are defined as games which pay out large amounts on an infrequent basis. Low variances are instead associated with smaller rewards that occur more regularly. While these notions are rather simple to understand, it should be stressed that they are not the same as the return-to-player (RTP) rate. RTP rates are associated with the amount of money that you will expect to earn back after playing an unspecified number of games. On the contrary, variance merely attempts to quantify the payout rates and statistics associated with a specific platform. The relationship between RTP and slot volatility is spurious at best, so do not fall into the trap of confusing the two. This is actually quite convenient, as players of different personalities are likely to encounter the platform that best suits their requirements. Low-variance slots are associated with smaller payouts which occur on a more regular basis. As the payouts are smaller, the aggregate risk is likewise limited. These variants are perfect if you happen to be working with a limited bankroll. In other words, the chances are high that you will be presented with some type of reward (such as a wild symbol or a multiplier) every few spins. The only drawback here is that striking a massive jackpot is extremely unlikely. Medium-variance games are considered to reside in the “middle of the road” in terms of risk versus reward. Many online casinos in UK markets will offer these variants, as they tend to be the most popular. While the associated risk is relatively low, the payouts are slightly higher. You will therefore not be risking your entire bankroll and the chances are still high that profits will be accrued over time. Lastly, we need to mention high-variance slots. These are associated with the greatest amount of volatility. However, the trade-off here is that the payouts are very significant; sometimes equating to well into the thousands of pounds. Any wins are infrequent and the wagering requirements are likely to be much higher when compared to the alternatives mentioned above. Many players who opt for high-variance slots can afford to lose a significant amount of money before hitting it big. Please keep this in mind, as you might otherwise exhaust your funds within a short period of time. How averse you are to risk. How frequently you hope to encounter payouts. This is why it could be a good idea to construct a slot volatility list. Such a list basically represents different providers and their associated variance rates. There are also instances when the game developer will create games known for a very high or low level of volatility. It is just as essential to remember that the majority of online slot games will fall within the moderate category. The concept of slot volatility should never be taken lightly, as it will have a profound impact upon your payout rates as well as your overall strategy. We have attempted to break the principle down into easily digestible segments, so feel free to refer back to this article when necessary.